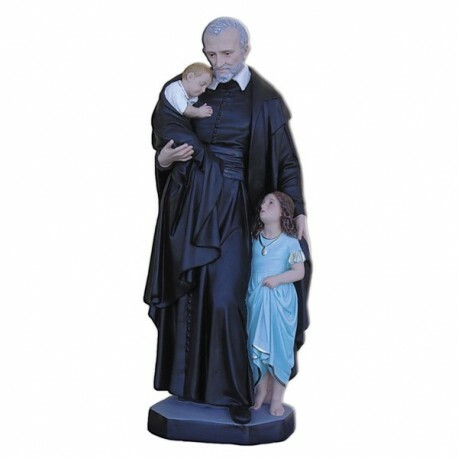 Statue of Saint Vincent de Paoli 60 cm. 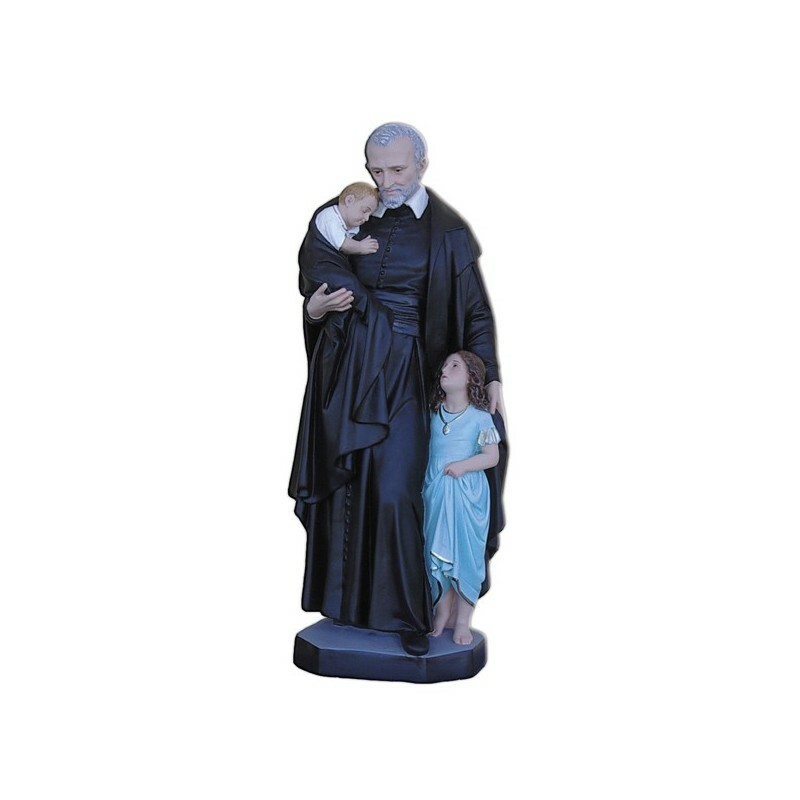 Statue of Saint Vincent de Paoli, 60 cm of fiberglass, handmade in Italy. Saint Vicent of Paul was a foundator and he is commemorated on the 27th of September. He was born on the 24th of April 1580 in Pouy and he died on the 27th of September 1660 in Paris. He was the foundator of numerous religious congregations: The Daughters of Charity and the religious institute of the Vincentians. He dedicated himself to the care of the paupers, the orphans, the infirms, the lost wives, the poors, the blinds and the insanes. He was beatified on the 21st of August 1729 by Pope Benedict XIII. He was canonized on the 16th of JUne 1737 by Pope Clement XII. He is the patron of the societies which dedicate to the charity. In the iconography he is illustrated with the back clothing and the white collar, with a baby .